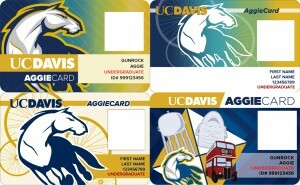 Last fall, the University of California, Davis held a student vote for the next design for the AggieCard. A year later, the university is beginning to issue the newly redesigned cards. The four card design finalists. Winner: top left. According to The California Aggie, all first-year and transfer students are being issued the new ID cards, while existing students will continue using the old cards unless their old AggieCard is lost and needs to be replaced at a cost of $15. If replaced, an updated photo will also need to be taken to meet to new photo requirements. 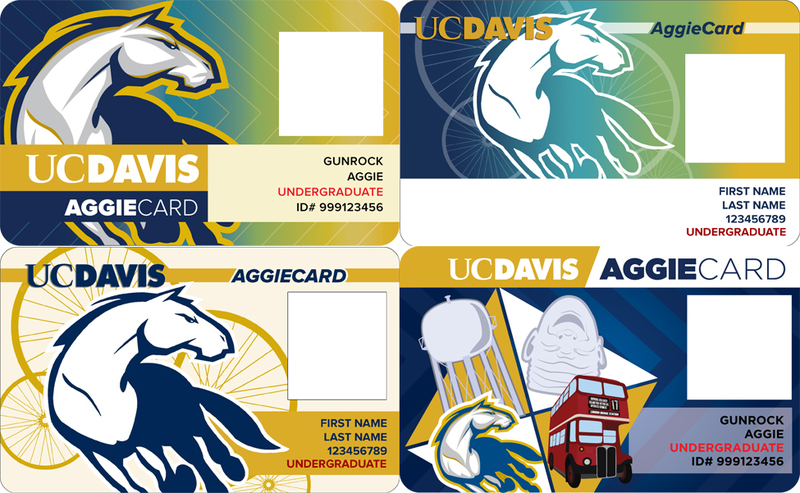 There is now mention of a change of card technology, as the report says that students will continue to use the AggieCard — either new or old — as a library card, membership card to the campus rec center and as a free Unitrans bus pass. 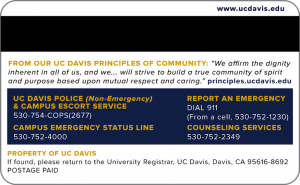 The redesign process took a reported eight months, and required the use of Marketing Toolbox, an all-accessible free resource that outlines UC Davis standards. The process saw four final designs go before a student vote to determine a winner. The California Aggie reports that the designs were voted on by a total of 3,387 students, with the winning design hauling in 1,911 votes. Redesigned card back with color, bolding and spacing elements. In addition to a redesigned front aesthetic, the back of the AggieCard was also given a facelift. The new reverse side of the ID visually separates information via bolded and unbolded text and adjusted spacing so that important information can be quickly identified. 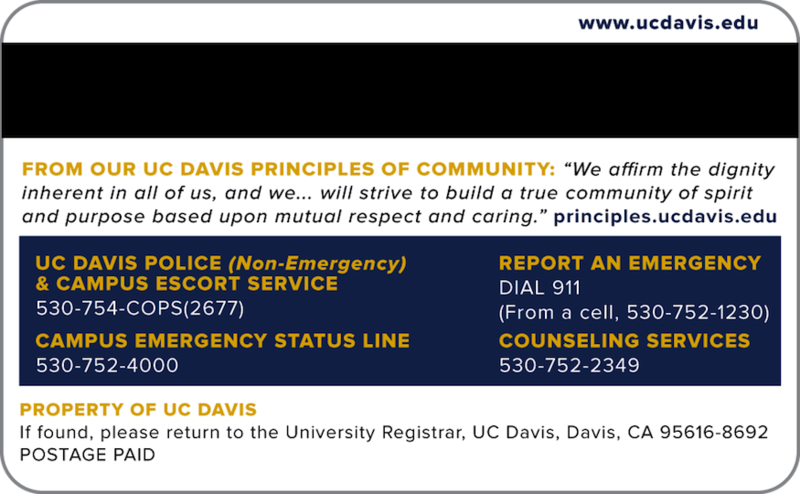 Specifically, colored accents were added to the previously black and white aesthetic to better emphasize the contact info for UC Davis Counseling and Psychological Services.